This Grapefruit Cinzano is sponsored by Cinzano. As always, all opinions mentioned here are entirely my own. Cheers! Here’s a quick and simple cocktail that you can enjoy year round. 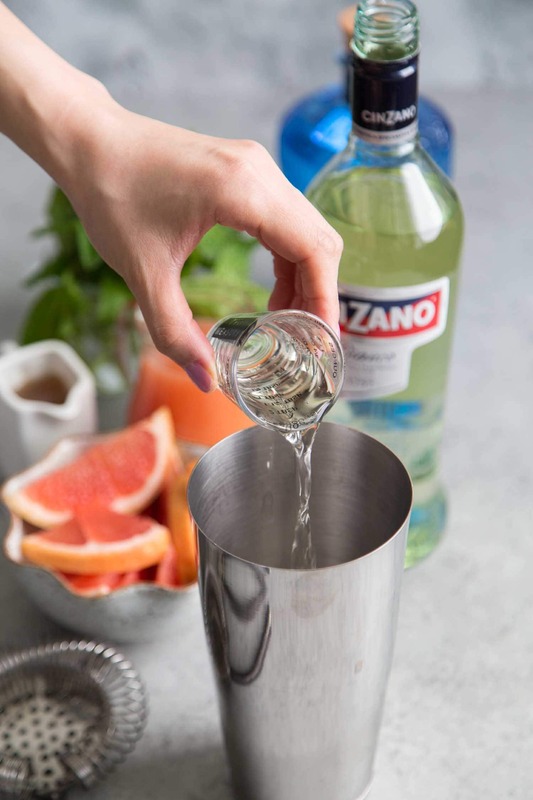 This Grapefruit Cinzano is reminiscent of a Negroni, but lighter and brighter in flavor. 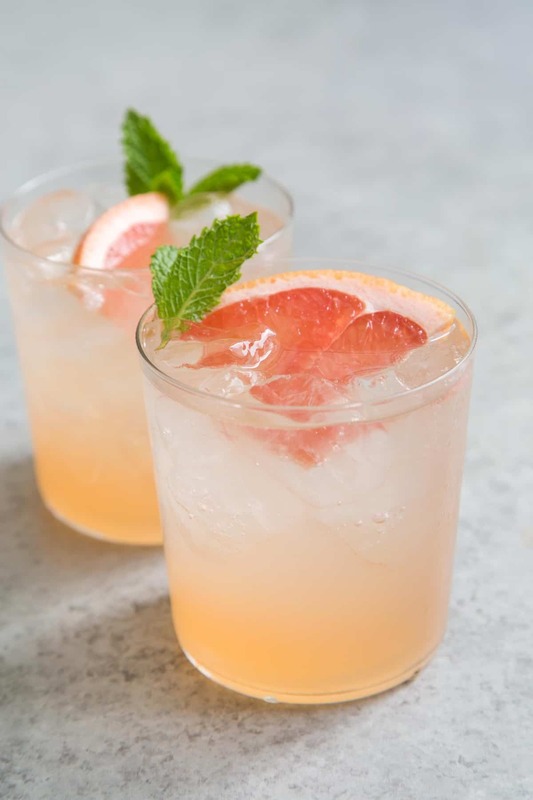 It combines vermouth, gin, grapefruit juice, and sparkling water to make a refreshing beverage that’s great for easy drinking. Enjoy it with brunch, on the patio at sunset, or as an aperitif. I’m excited to partner with Cinzano and explore the wide range of cocktails you can make with vermouth! Vermouth is a fortified wine infused with various herbs and spices. It comes in red or white varieties, and a range of sweet, dry, or extra dry. Vermouth is super versatile in the world of cocktails. It is a staple in many classic favorites: Americano, Martini, Manhattan. This cocktail uses Cinzano Bianco and gin. 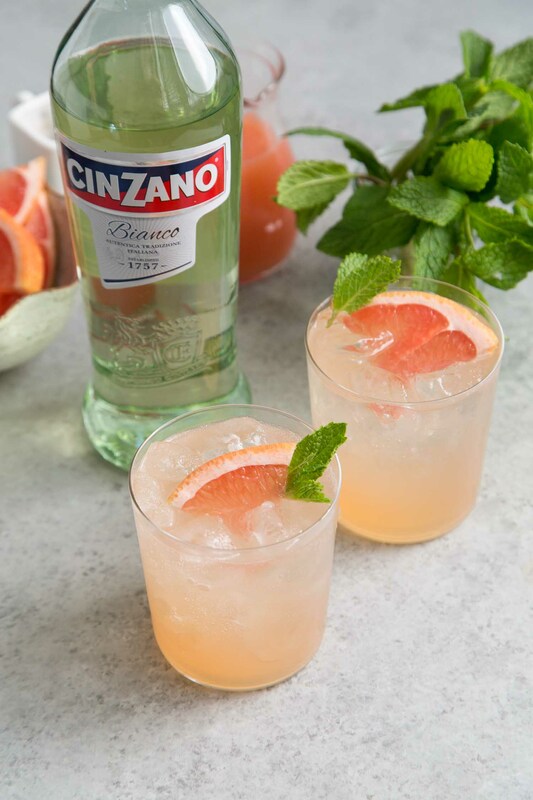 Cinzano Bianco is a sweet vermouth that is quite floral with notes of white peach. This is the kind of vermouth you can easily drink on the rocks with a twist of lemon. The addition of gin pumps up alcohol content, while also mellowing out the sweetness. For the final touch, the fresh grapefruit juice and optional honey syrup rounds it all out. And to make this an easy drinking cocktail, a splash of sparkling water at helps to lighten the beverage. The recipe listed below makes one cocktail. However, you can easily prepare this as a make ahead punch. Simply combine all the ingredients except the sparkling water. Keep the mixture chilled in in a punch bowl or pitcher. Have guests can pour themselves as a glass and top it off with chilled sparkling water to their liking. 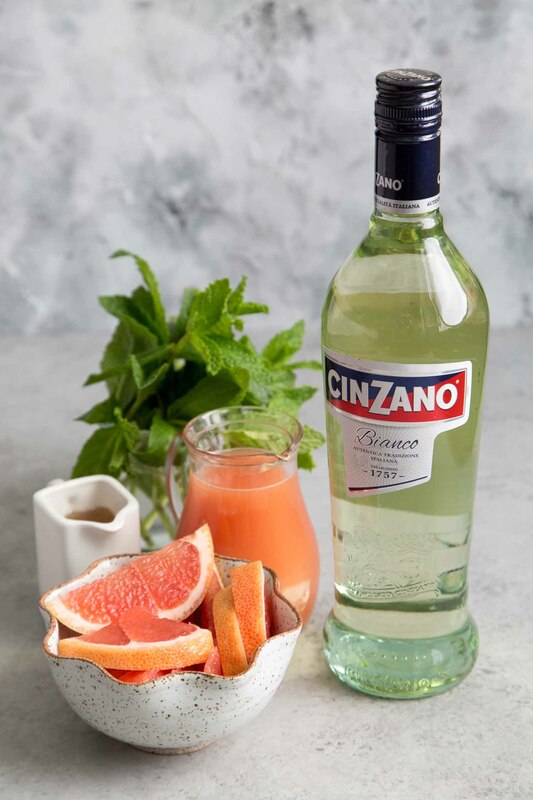 In a shaker or mixing glass filled with ice, combine Cinzano Bianco, gin, grapefruit juice, and honey syrup. Stir until mixture is cold. Strain into ice filled serving glass. Garnish with fresh mint leaves and grapefruit slice, if desired. To make honey syrup: combine equal parts water, granulated sugar, and honey in a sauce pot. Set over medium heat and bring to a boil. Once sugar had dissolved, remove from heat and allow to cool. Cinzano Bianco provides enough sweetness on its own. However, you prefer your cocktails on the sweet side, please include the honey syrup. 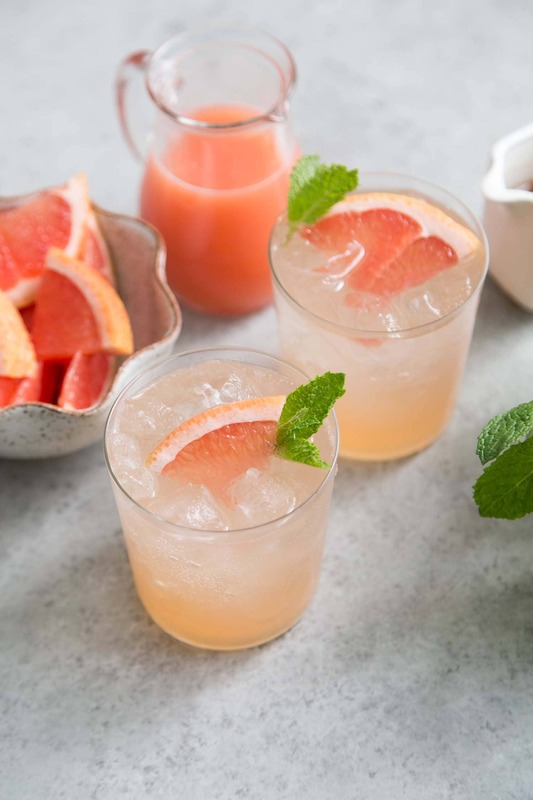 You can always use some more grapefruit recipes, especially with drinks.